The official makers of the popular tools that you can eat with! 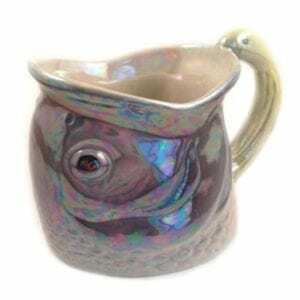 Find The Top Gifts For "That Person Who Has Everything"! 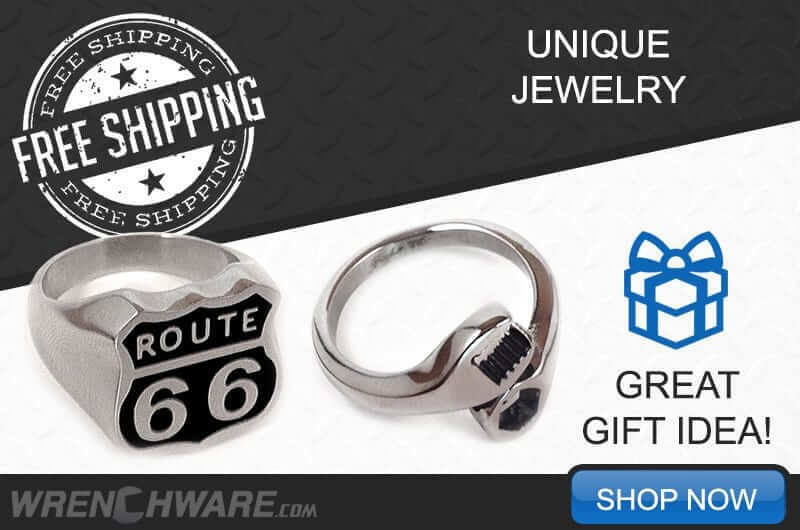 So you’re having trouble finding the perfect gift for “that someone” who has everything? Well… You are in the right place! 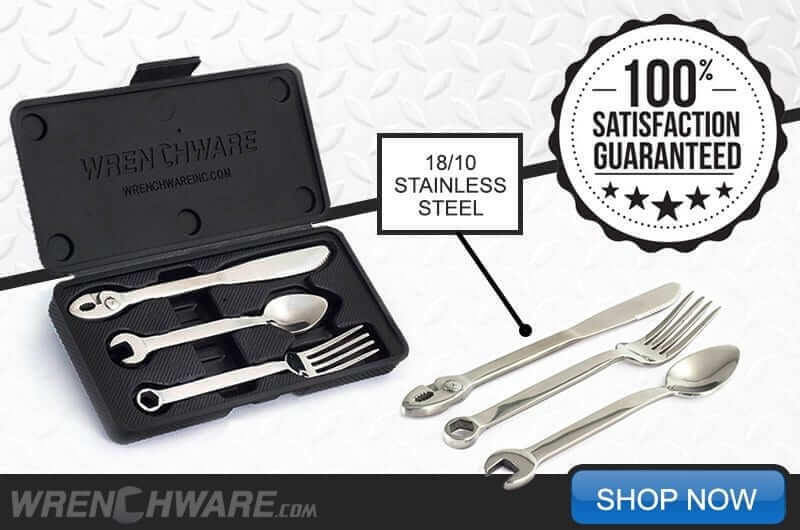 Wrenchware offers an awesome line of unique products that anyone would love! 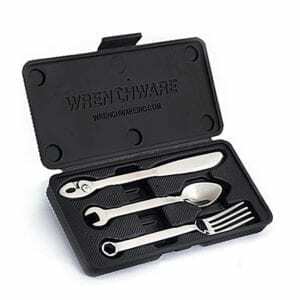 I was out in the garage one day “wrenching & eating” like always, well, I set my spoon down EXACTLY ON A 7/16” WRENCH laying on the bench and walk away for a while. When I came back for the wrench I looked down and “SHASAM!” THERE LAYING ON THE BENCH was the “PROTOTYPE” FOR Wrenchware.. 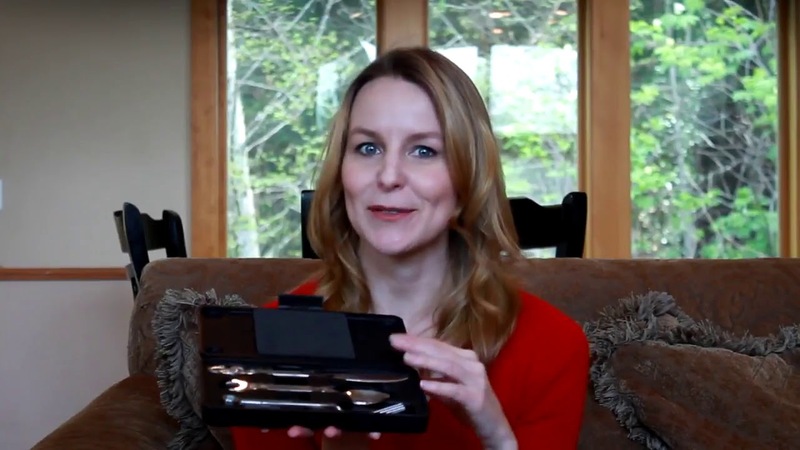 I took the wrench over to the band-saw and ‘cut off the box end and another wrench the open end, cut the head of the fork and spoon, glued them on and ‘EURIKA” Wrenchware was born! Everybody LOVED THEM and told me these will SELL! So, just being semi-retired I decided to see if I could do it… I just sold my PT-Stearman Airplane and after paying my partner off, I had a little money left so I thought I’d “check it out”. Now this was LONG BEFORE the internet, and since NO SILVERWARE IS MANUFACTURED IN THE US ANYMORE, I had to go ‘OVERSEAS, SOMEHOW’, but how? THE LIBRARY! That’s it…. WRONG! After weeks of searching I found nothing but and old magazine article about how to contact “Offshore Contractors’. So I started, and after many weeks I had a few leads, No phones, only correspondence, Long, boring, and this story shortened, I found 2 factories that “Yes, No PROBLEM” send money, I did, too both of them & you guessed it NO Wrenchware, when I was about to QUIT, my ‘HIGHER POWER’ that I CALL “THE Lord” stepped in and send us our current fantastic supplier , HOMESTAR, Owen & his wife Kelly, ( who speaks and write ‘PERFECT ENGLISH” It’s been a good relationship for over 13 years now and we hope many more. I have been over there and I’m so glad we found them. They “interpret” what we want and need, and just ‘do-it!) I run the business with my partners, my FABULOUS WIFE, SUSAN AND 2 SONS TRAVIS AND TODD. Here in Southern California. 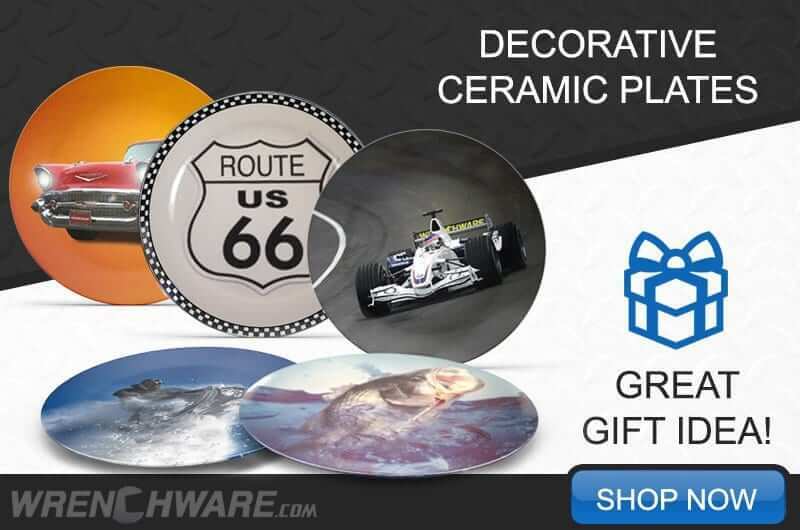 Decorative plates make a great gift! Check out our huge collection of plates themed for most!